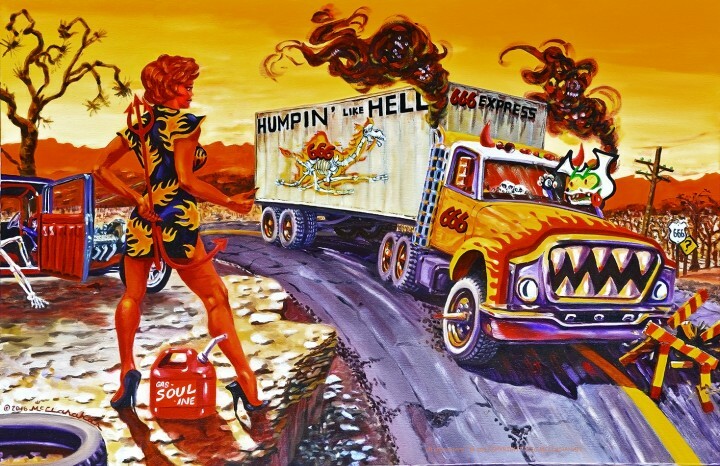 Obviously a fantasy scene, inspired by the Campbell 66 Express trucks, and those cool monster art t shirts and car-toons from the Sixties! Featuring my Rootie character's evil twin at the wheel of the monster truck. Oil on canvas, 24 " x 36"